Adapter with a Ă¸ 50 mm insertion tube. Suitable for towers Ref. ELC-506. Thanks to its adjustable system, just one adapter can be used for different trusses. Designed for trusses from 23 to 32 cm. 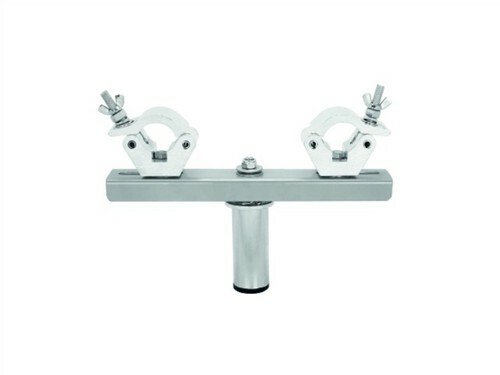 The spigot is zinc plated, the T-bar has a textured grey anti-scratch finish and the clamp is aluminium. Weight: 2.4 kg.